Partometer - camera measure: update v1.3.0 brings multiple rulers to iOS version. Partometer for iOS has been recently updated with v1.3.0 that features multiple rulers. Now you can add rulers in Length Mode by making a LONG touch and moving your finger to the desired direction. Length values are shown above each ruler. Underneath you can see ratio of each ruler to the blue reference length. Also in this version of the app value labels introduced in the Area Mode. Now you can see length of each leg of the measured polygon. Let us know if you have any feedback or comments regarding the update. 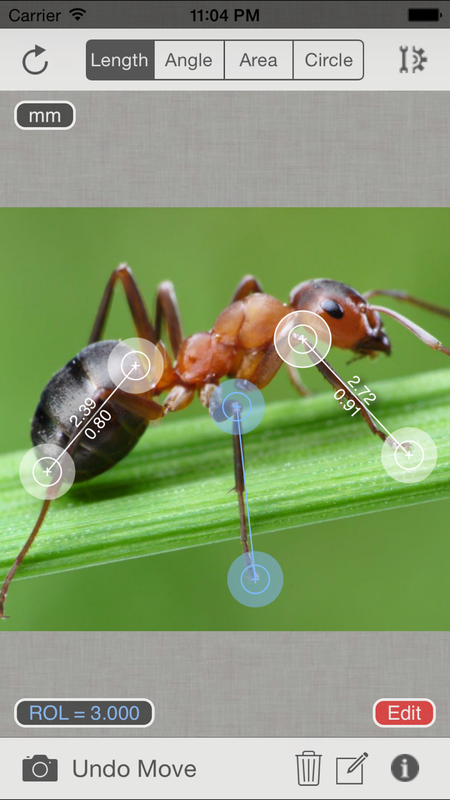 Zoom feature (Magnifying Glass), recently introduced only in Edit Mode , is available in Touch and Drawing Modes now. It improves usability and accuracy of Planimeter on Android by showing a touch region hidden under your finger and by zooming in an exact spot on the map where a pin is about to be dropped. - make sure Magnifying Glass is enabled in the app settings. - move your finger, see zoomed area under it and drop a pin at a desired location. The video below demonstrates two ways to place pins for field marking and measurement. As you can see, new feature helps users to avoid extra pin adjustment and to be even more efficient while getting accurate results with Planimeter. The same zoom functionality is available also in Drawing Mode, where free shape can be quickly drawn and measured on Google Maps. 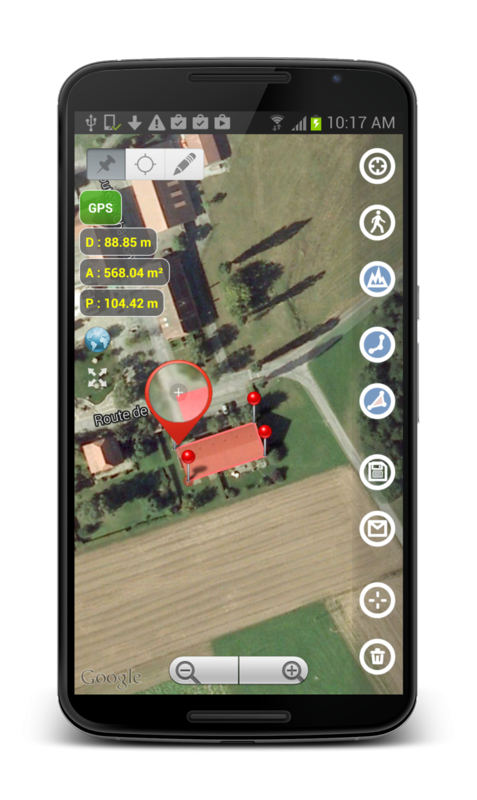 Magnifying Glass significantly improves this mode, because now users even without a stylus can accurately follow borders, paths, tracks and other features on the map for accurate planning and measurements. Check out the video below, where a finger is used to outline an object on the map in Drawing Mode. Drawing with a finger on Google Maps in Draw Mode before (left) and after (right) the update v3.8.5. We hope you will find new Planimeter update useful and will benefit from it in your daily work. You can support further app development by rating the app on Google Play, liking and following us on Facebook or G+ and sharing your Planimeter experience with friends and colleagues. Thank you!